St Luke's Health System — The Land Group, Inc. 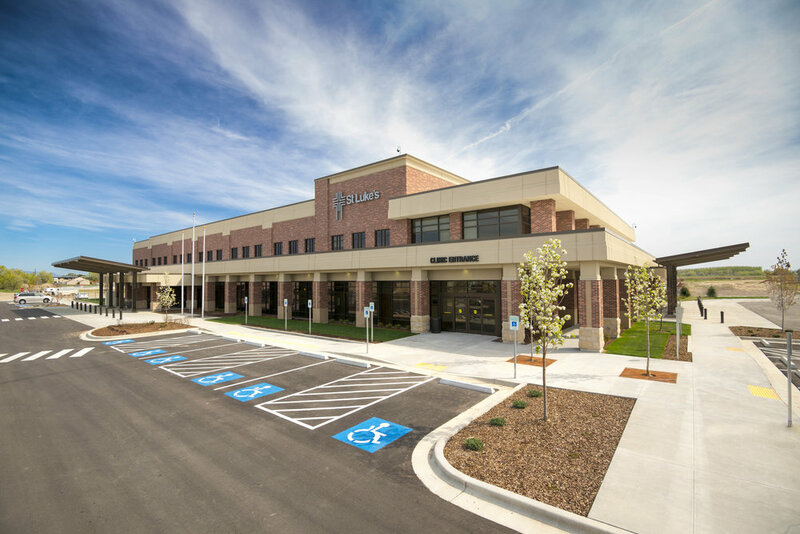 The Land Group has partnered with St. Luke’s Health System providing civil engineering services and collaborative master-planning efforts for over 20 years. The Land Groups has worked on St. Luke’s Boise Downtown Campus, St. Luke’s Meridian Medical Center, St. Luke’s Magic Valley Medical Center (Twin Falls), St. Luke’s Nampa Medical Center, St. Luke’s McCall Medical Center, St. Luke’s Elmore Medical Center, St. Luke’s Eagle Medical Plaza, St. Luke’s Fruitland Medical Plaza, and St. Luke’s Hailey Clinic. As the health system evolves and grows to meet community needs, The Land Group is proud to support St. Luke’s in their continuing efforts to be at the forefront of healthcare throughout Southern Idaho.